The Goodwood Festival of Speed usually sees a blend of supercars, classic cars, one-offs and prototypes attempting the 1.8 km hill climb run up Goodwood House's driveway. At the 2018 edition though, a fully autonomous EV racing prototype from Roborace will attempt a run up the course. The car in question is powered by four 135kW electric motors which provide a combined 500PS power output. The 1,350 kg Roborace car relies on an artificial intelligence driver algorithm for guidance. A Nvidia Drive PX 2 computer is responsible for handling the large amounts of data that the system receives from its LiDAR, radar, GPS, and ultrasonic systems, as well as camera sensors. 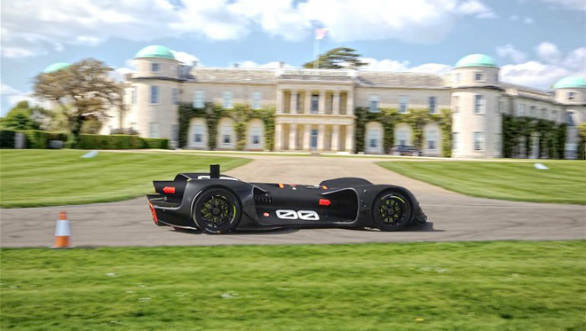 Roborace CEO and current Formula E champion Lucas di Grassi said that they were excited that the Duke of Richmond had invited them to make history at Goodwood while attempting the first ever completely autonomous uphill climb using only artificial intelligence. 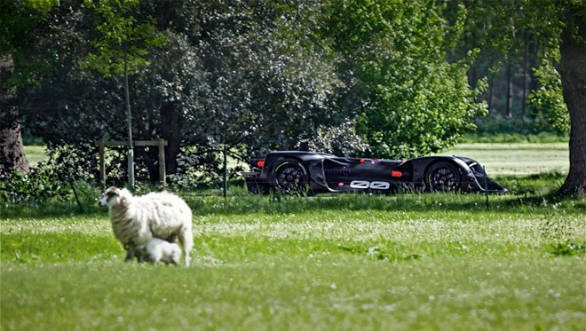 The Goodwood hillclimb presents a real challenge for level four/level five autonomous driving systems. Turns and hills with a great deal of tree coverage mean you can't rely on GPS/RTK signal for localisation. Use of all advanced sensors, including LiDARs and cameras with deep learning-based computer vision methods are needed to perform well at this course, said AI Sergey Malygin, the chief of software for the project. Visitors to this year's Goodwood will also have a chance to see the hill climb from the Roborace car's point of view in a custom, fully immersive VR experience in the Roborace booth. The Roborace car has been designed by Daniel Simon, whose previous projects include various Hollywood sci-fi cars. These cars will start competing in a single-make all-electric racing series to support next year's Formula E championship. With autonomous driving and EV tech development still in a relatively nascent stage of development, an event such as this will help to understand how versatile and reliable such cars can be. This is in addition to the widespread awareness such an event can bring generate for this fledgeling technology.